I have a feeling I will get some backlash for writing this post. Why? Well let me get my final thoughts on Kawawa out early in this post. Quite simply, I really enjoyed the food and will definitely go back. 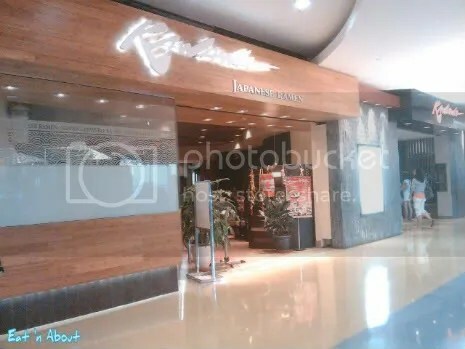 Kawawa is located inside Metrotown right beside their All-You-Can-Eat establishment of the same name. Now I know I know, this really isn’t an authentic ramen restaurant. Heck, none of the people that work there are Japanese. But they actually make some of the better non-Downtown non-Japanese-run ramen I’ve ever tasted. LBF ordered the Beef Tongue (or “beef tough” as it’s written on the menu) and I think it’s around $8-9. It came in their “Japanese Style Broth” which I’ll assume is equivalent to shio. It came with a measly 3 small slices of “beef tough” and indeed it was tough, or so I’m told. 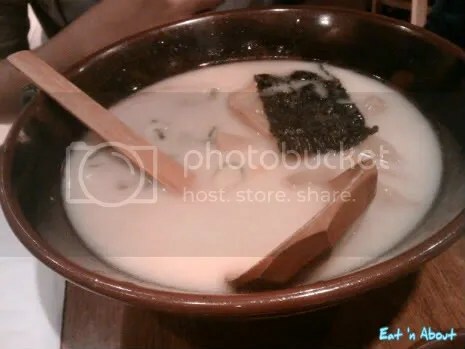 The soup however was quite flavorful and the ramen noodles were not bad. Quite al dente. L ordered Combo A which came with a bowl of ramen in Japanese-style broth and a small bowl of charshu rice, which you will see later. It was $7.95 which is a pretty good deal. I find that the Thurlow location of Benkei more convenient, as it’s closer to the Canada Line station so it’s within easy walking distance. 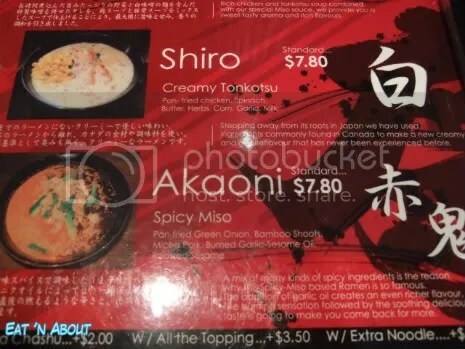 I don’t quite remember if the old location had these two types of soup on their menu, but I’m pretty sure Shiro isn’t on there. However, as with the old location, they have Miso, Shoyu and Shio. Additional toppings are $0.50 each but you can get all for $3 (I think). 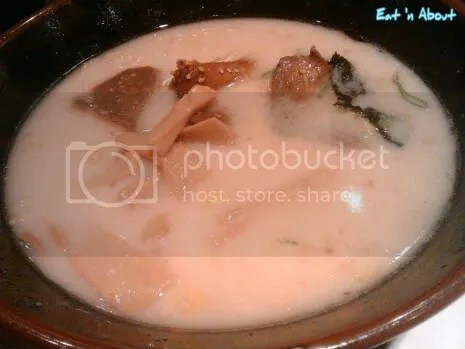 This visit I picked Shiro, which is a creamy tonkotsu (pork bone) broth. Instead of char siu it was topped with grilled chicken. When my order came the chicken looked a bit pink, but I ate it anyways haha. In terms of toppings there really isn’t much on there. I really wished there were more. 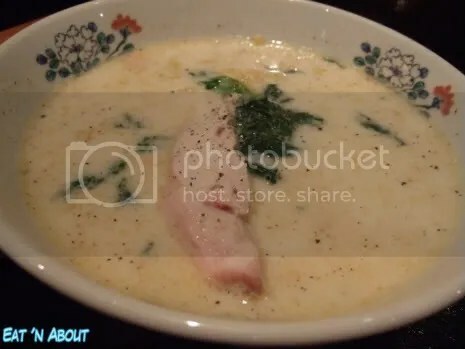 The soup was creamy but not overpoweringly so, therefore I didn’t feel “saturated”. The noodles were a good al dente. 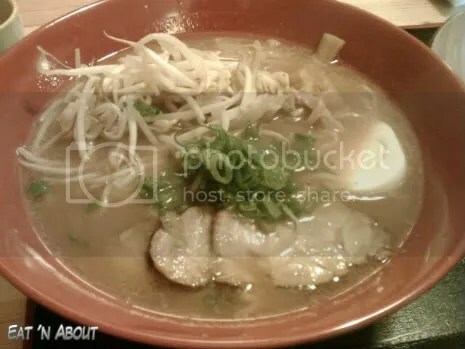 I think I’ve seen this Misoya Ramen before but just didn’t remember it until I saw them advertised in the current issue of Klip magazine. 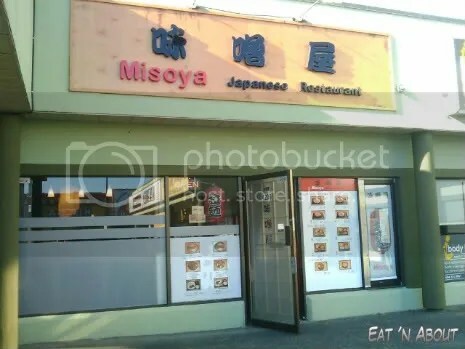 They currently have a coupon in there for a Ramen and Gyoza combo for $10. It is not very big in there at all. And we were the only customers. Our server spoke Mandarin but she also spoke Japanese to another owner/server lady that came in later. I ordered the Miso Ramen ($7.80). It came topped with char siu, a hard-boiled egg, bean sprouts and green onions. The soup wasn’t very good. It wasn’t very rich or flavorful. The char siu was a bit too lean and tough. It had flavor though so that was good. The egg was hard-boiled, so it didn’t add anything specialness to the dish. However the noodles were made very well. They were a good al dente and were probably the best part of the bowl. And so again, Wendy and I head out to Vancouver to visit more Olympic sights and see if there were any more Migas, Quatchi, MukMuk items for sale. On our way there, we wanted to visit Copa Restaurant since we’ve heard good stuff about it. Ironically, it’s because of the Olympics that parking on Cambie has been disallowed. Furthermore, the inner streets all required a permit to park. So that leaves us with no choice but to head to Menya. The place was quite full when we got there. 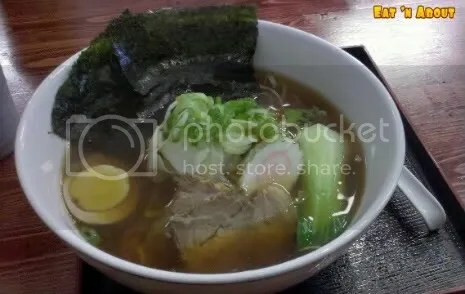 It was raining and quite cool so perhaps people wanted to have nice bowl of ramen to stay cozy and warm. We quickly ordered two items, no drinks to kick off food for the day. Wendy had the Shoyu Ramen. There seems to have been not a lot of noodles included this time. The meat was satisfactory but Wendy found the soup not as good as last time. It was as strong as before and had a slight sour taste to it. Not quite sure what to make of it, but the entire experience was alright but could have been miles better.